"The style allows Raghee Horner to tackle the thorniest concept for beginning traders to understand from the outsetshorting. The explanation is one that is the best I′ve read in many a book, all because she is conversing with you within the pages. "Just who is Raghee Horner? That′s easy. If you are a forex trader, Raghee Horner is a young woman who can change your life. She can turn your losses into profits. She can take the mystery out of trading this incredible market. 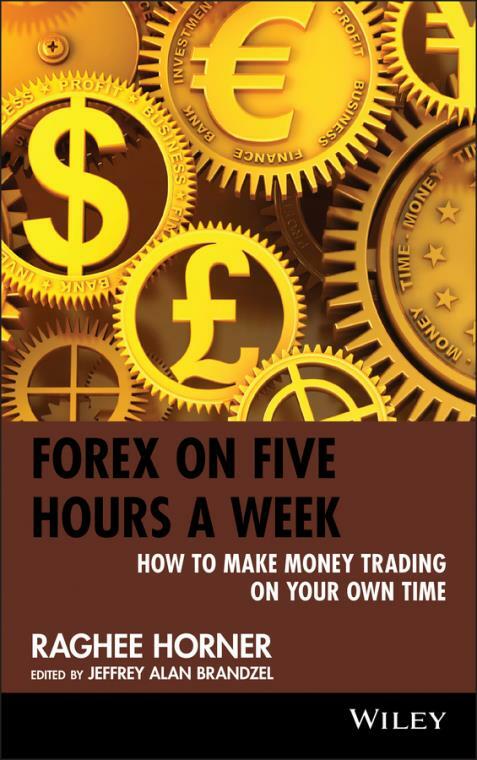 Trading the forex market has become one of the most popular forms of trading. It′s a 24/7 job for many. But what if you have a day job and only a little time to dedicate to the market? CHAPTER 1 Making Money in Up and Down Markets. CHAPTER 2 Full–Time Trading = Full–Time Job. Confessions of a Chart Junkie. CHAPTER 5 The Magic of Lazy Days Lines. Lazy Days Lines at Work. Comprehension + Confirmation = Confidence. CHAPTER 6 The Only Entries You Need. CHAPTER 7 Around the World. Financial Centers You Need to Know. A Day with the EUR/USD. U.S. Dollar Index and USD/CAD. U.S. Dollar Index and AUD/USD. The Psychology of Market Cycles. The Psychology of Numbers, Entries, and Exits. CHAPTER 12 Is My Broker Friend or Foe?